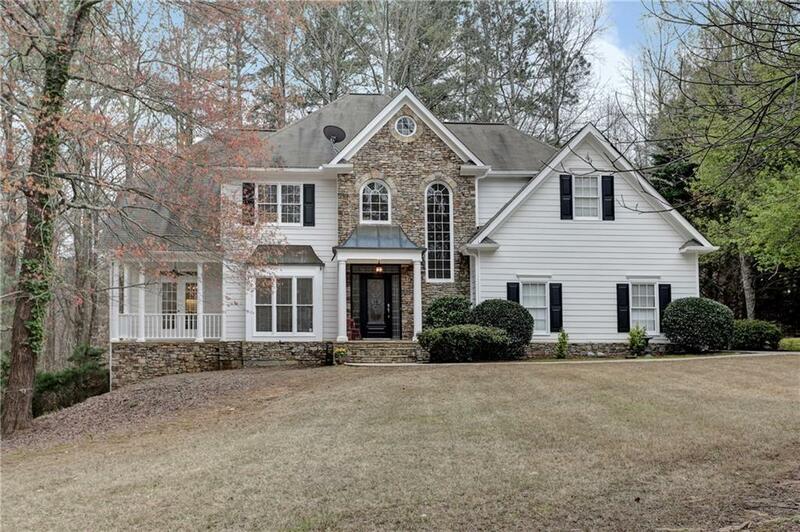 ALPHARETTA WOODED RETREAT! Spread out and fall in love with this lovely move in ready Alpharetta Wonder! Freshly painted inside and out, Great open plan, Hardwoods on Main, Spectacular covered and screened outdoor porch, Huge Deck, New Carpet, Lots of light, full finished basement, and lots of space and privacy in Milton High School District! Grab this move in ready shiny penny at a terrific price!